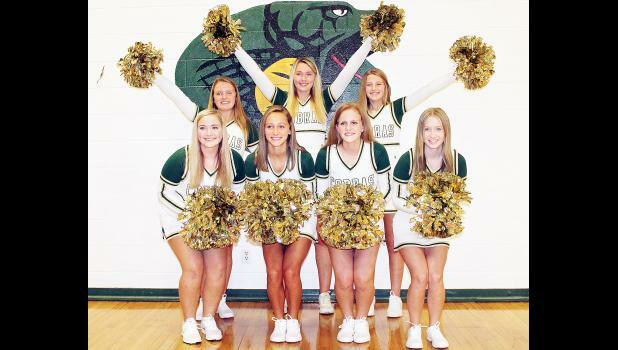 Jackson Heights High School’s fall sports cheerleaders are shown above. Front row, from left: Ali Teter, Jodi White, Paige Deneault and Skyla Howe. Back row, from left: Makayla Mock, Trinity McMahon and Annie Allen.